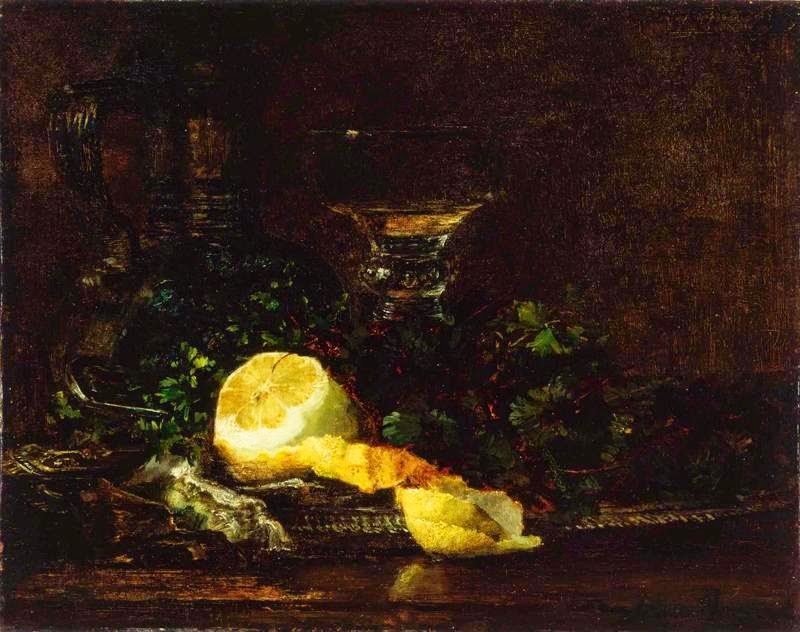 J. Alden Weir is primarily known for his figure paintings and impressionist landscapes but he also created many fine still life paintings throughout his career. His early academic training under Jean Leon Gerome provided the keen observational skills and drawing facility to create these paintings. His color harmonies are exquisite and his use of lost and found edges work perfectly with his subject matter. 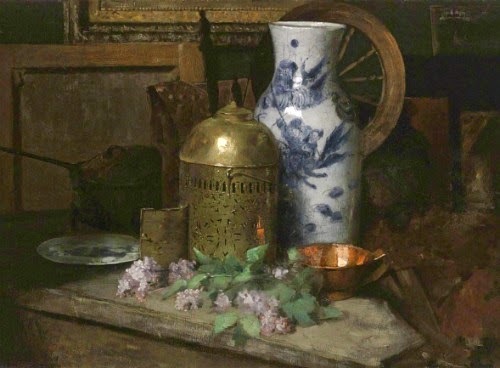 He used the different surface qualities of the chosen objects to great effect heightening the sense of realism and fidelity without over rendering. The designs are very organic in their flow with nothing awkward or stiff in the painting of the elements. 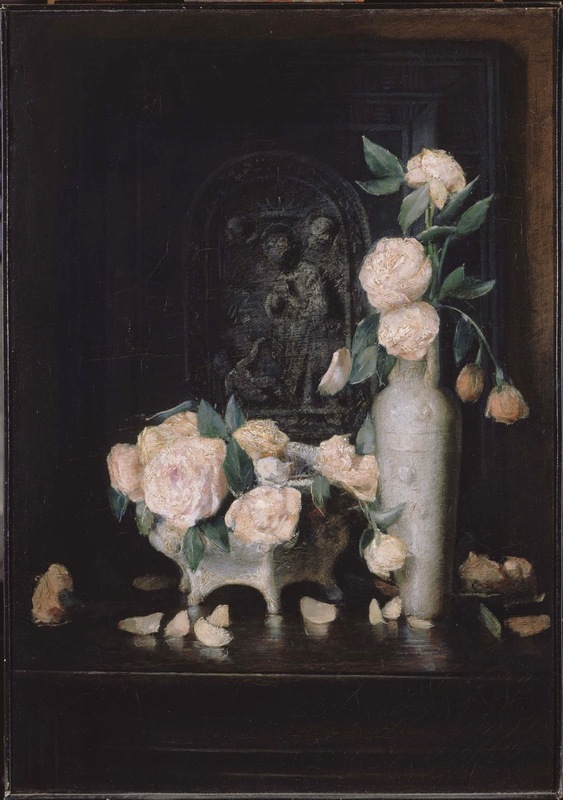 It is naturalism, but a naturalism edited with a keen eye and powerful understanding of capturing only the essential qualities to complete the statement with a simplicity of handling. These are gorgeous Armand, thank you for sharing them! 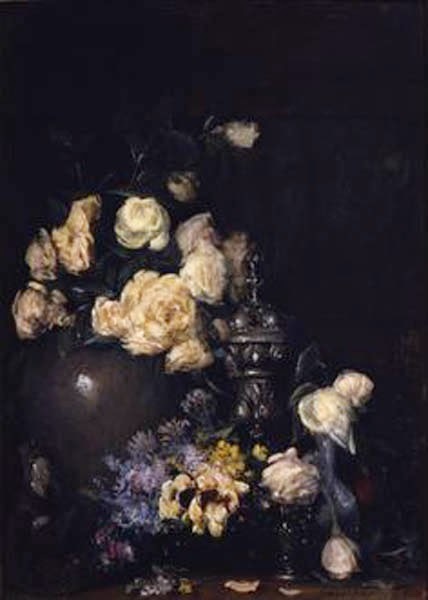 I was not familiar with his still lifes until now. Only his figurative work. Thanks for expanding my Weir world.